Even in the brightest of rooms, radiant floor heating will be ideal choice to keep you comfortable. Sunday's will feel better then ever after installing our high quality versatile floor heating, which can go under all types of flooring. Installing Sunroom radiant floor heating has never been So Easy! Go Green with radiant floor heating in your Sunroom and Save Money! Want to talk with us regarding your Sunroom radiant floor heating or any other floor heating project you may have. Please feel free to chat with us or leave us a message if we have stepped away. Sunroom Electric Floor Heating For customers, especially those who are considering making a purchase on a new home, a sunroom may well be one of the options that those customers will often come up with. 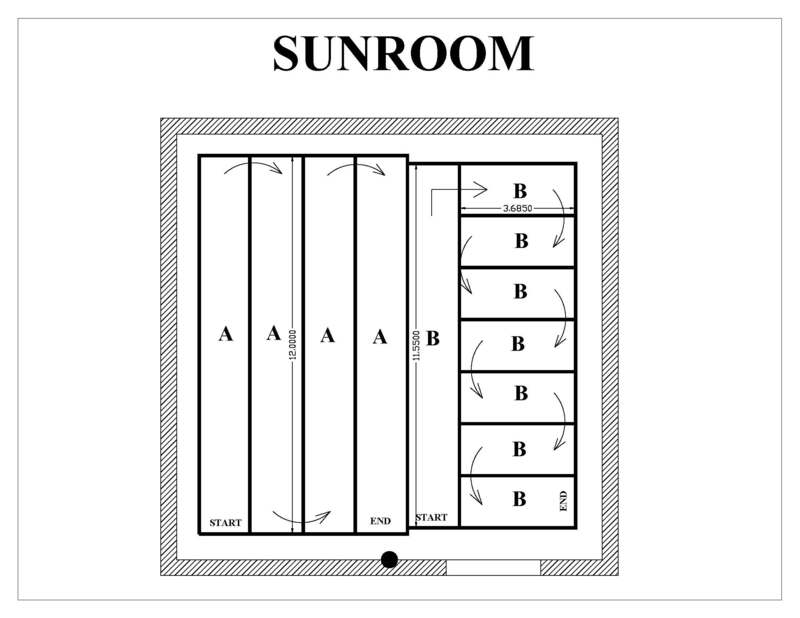 Within a sunroom, customers will be able to feel the warmth and the brightness that the sun gives to people every single day, except, needless to say, when eclipse happens. However, even in such a bright and quite warm room, the floor may not be so friendly and give the warmth just as how the customers have expected. It is often the case that this is caused by the tile floor that the customers choose. It is often quite cold in fact, especially when the customers have to face the months of winter. Therefore, such a solution as the sunroom electric floor heating may come in pretty handy. This sunroom electric floor heating system is in fact a heating system that is manufactured with new technology. It has been making its way into popularity quite recently and it is usually pretty easy for customers to install it by themselves. The installation of this floor heating system is quite similar to the installation of the floor covering. The tools required are also the same as the tools required in installing the floor covering. With such floor heating system, customers will be able to feel Sunday even more comfortable and joyful than ever before and all they need is a little easy work in advance. Also, there are quite a large number of options available for the customers when it comes to heating their sunroom. Therefore, customers may expect to obtain the best system from the various systems available, needless to say. For example, there is a product that has been manufactured in such a way that it is able to heat the floor of the sunrooms as well as conservatories and various other kinds of rooms. However, though, the application of this product is limited to the floor that is covered with either tile or stone or concrete. The technology also produces higher output wattage compared to the other elements in a residential property. This is because it has high heat losses. Yet, if this does not sound like quite an option, there are still a lot of other choices customers may choose. There are a lot of other floor heating systems available on the global market to date. It seems that manufacturers understand that if customers are looking for floor heating to apply at their sunroom, chances are the customers have already installed floor heating at the other rooms in the house and that it may cost them a fortune to carry the heating system to the sunroom. Therefore, the manufacturers have come with quite a few energy efficient optionsexpected to provide heat under stone, vinyl, tile or other hard surfaces. So, when it comes to sunroom electric floor heating, there are a lot of options available in fact.